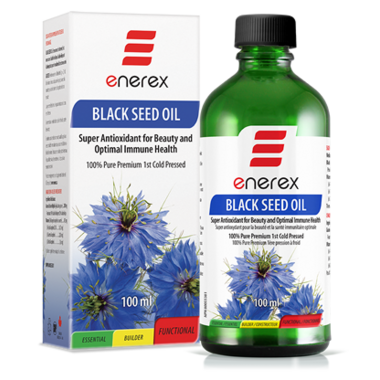 Enerex Botanicals Black Seed Oil is a top-rated therapeutic oil that is highly prized for its immune stimulating properties but also for its benefits to comfort the respiratory and digestive systems. This plant contains unique compounds to boast as an antioxidant, antibacterial and antiviral herbal medicine rich in Omega 7 fatty acids as well as externally as a beauty and hair treatment. Directions: Adults: Take half a teaspoon (2g=2.5ml) once daily with food, diluted in water or juice, or as directed by a health care practitioner. External Use: May be applied topically to skin and hair. Store in a cool, dry place. I really like this product I found that it helped to cut the thickness in my throat.My wife found it was really good for her allergies. I will take this all my life -half a spoon with very low heat water -his effect are to long to explain. This is a fantastic product, I have been using it daily for my allergies and it is working. It has also helped with my eczema. I would highly recommend it.